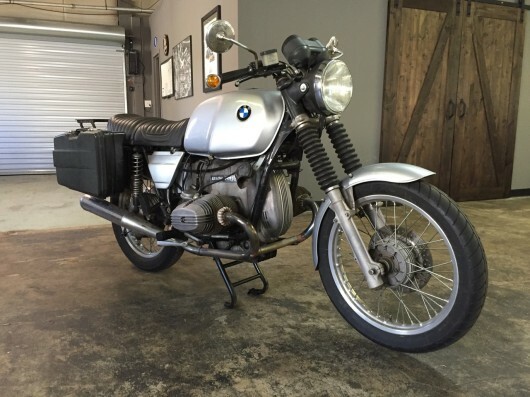 Up for sale is my 1978 R80/7. I’ve owned and ridden this bike for the last 6 years and it has always been good to me. The Euro handlebars are slightly narrower than the original American bars and bar-end turnsignals have replaced the original units. The saddle has been recently recovered and is in great shape. Krauser hard cases and rear rack are in great condition as well. The Porsche anniversary silver paint shines and there isn’t any rust on the bike. The wheels are true, the Michelin Macadam tires have plenty of life in them and the front and rear shocks are good.